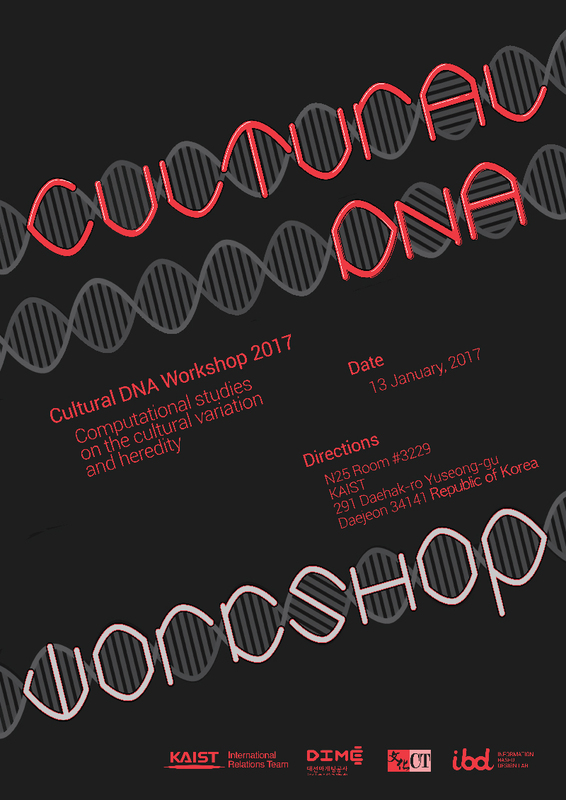 After the great success of the 1st Cultural DNA Workshop in 2015, I decided to organize a series of Cultural DNA Workshops in every two year. 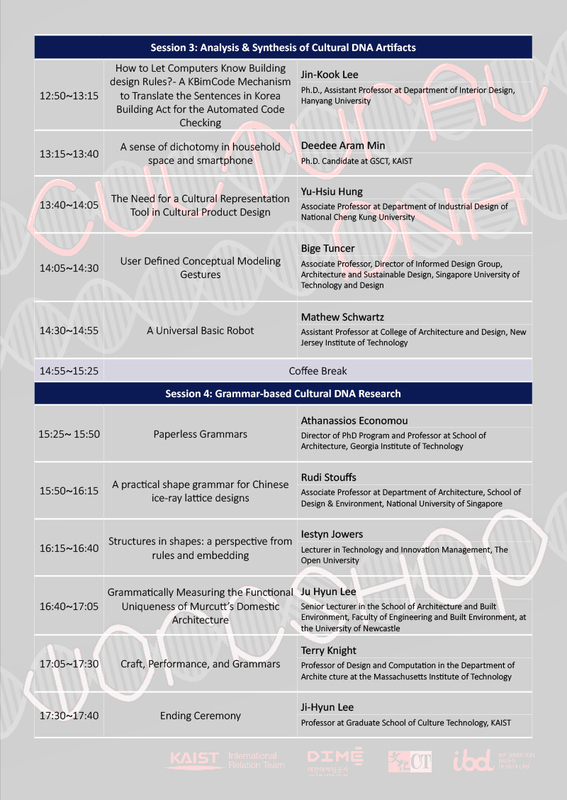 As I mentioned in the Preface of the 1st Cultural DNA Workshop, the term ‘cultural DNA’ came from the perspective of a meme, a socio-cultural analogy to a gene, trying to comprehend the concept of a meme from the various cultural aspects of design and the notion of a genetic algorithm. Andrzej Zarzycki from New Jersey Institute of Technology (NJIT), USA; Atanassios Economou from Georgia Institute of Technology, USA; Bige Tuncer from Singapore University of Technology and Design, Singapore; Danilo Di Mascio from Northumbria University, United Kingdom; Deedee Aram Min from KAIST, Republic of Korea; Jimin Rhim from KAIST, Republic of Korea; Jin-Ho Park from Inha University, Republic of Korea; Jin-Kook Lee from Hanyang University, Republic of Korea; John Gero from University of North Carolina, USA; Jong-Jin Park from Jongjin Park Architect, epf/sia, Lausanne, Switzerland; Ju Hyun Lee from The University of Newcastle, Australia; Kyung Wook Seo from Northumbria University, United Kingdom; lestyn Jowers from The Open University, United Kingdom; Mathew Schwartz from New Jersey Institute of Technology, USA; Namwoo Kang from K-School, KAIST, Republic of Korea; Rob Woodbury from Simon Fraser University, Canada; Rudi Stouffs from National University of Singapore, Singapore; Terry Knight from Massachusetts Institute of Technology, USA; Yu-Hsiu Hung from National Cheng Kung University, Taiwan. I hope this workshop will let all participant get along with useful insights and provide an unforgettable valuable time.